Now that summer’s over, it’s time to start dreaming of what the rest of the year holds. For most people, that means thinking about the holidays. After all, Christmas is only about 100 days away! However, some people simply can’t wait that long! 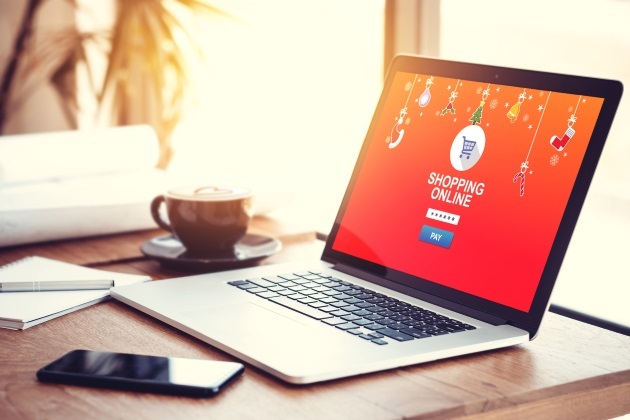 More than 10 percent of internet shoppers surveyed by eMarketer said they start their holiday shopping before September. While it’s easy to write them off as enthusiasts, you may be surprised that nearly half of those shopping on the internet (40 percent) start purchasing before November. Research from the National Retail Federation backs this up. Its data shows that about 40 percent of people start holiday shopping before Halloween each year. That number has stayed consistent for more than 10 years. All that’s to say you should start your holiday marketing campaigns a bit earlier than you think. But focus on digital marketing! People are happy as clams browsing online for Christmas gifts as early as September. But 71 percent of Americans are annoyed when they see holiday items in stores before Halloween, found RichRelevance research. In the meantime, here’s how to get the timing of your digital holiday marketing campaign just right. Note: All data, unless otherwise specified, is from AdRoll Group’s analysis of their customers from July 1 through December 31, 2017. October is best for your budget! Do your darnedest to get your holiday ads up by the first day of October. Because ads are typically cheaper to run during this month, you’ll get way more bang for your buck. Specifically, you’ll get 7 percent more impressions, decrease your cost per thousand (CPM) by 15 to 20 percent, and spend 12 percent less on your cost-per click (CPC), compared to the remaining months. November kicks off engagement. If you get your ads up by October, you’ll see about a 5 percent click-through-rate (CTR). Not too shabby. But November’s when the clicks will really start rolling in. Come November, your CTRs will nearly double, clocking in at 9 percent. That engagement does come with a cost, though. CPM on mobile devices are 37 percent more expensive than they were in August. December is best for mobile clicks, but worst for costs. Mobile ads get the most clicks in December (23 percent higher than August). But that will cost you; 42 percent more, to be exact. You can still feel good about your choices, though! CPC is 63 percent cheaper on mobile than it is on desktop during the holiday season. Update the holiday ads on December 25. People don’t stop shopping once Christmas has arrived. People are looking to make exchanges, redeem gift cards or treat themselves. Google data found that the days between Christmas and New Year’s Eve are just as busy for shopping as any other day in December. In fact, 20 percent of all December store traffic happened in that six-day stretch! During this time, update your ad campaign to fulfill those customer needs. Again, the CPC and CPM will be higher during this window, but so will the CTRs!